In Assassin’s Creed, the video game series-turned-movie, the protagonist is able to “remember” the memories of his long-dead ancestors through a special machine named the Animus. Although this is not actually possible, sadly, the idea that we “experience” what our ancestors went through isn’t actually wrong. In fact, based on a startling new study, it appears that the experiences of your ancestor that lived 14 generations ago are potentially having an effect on your life right now. 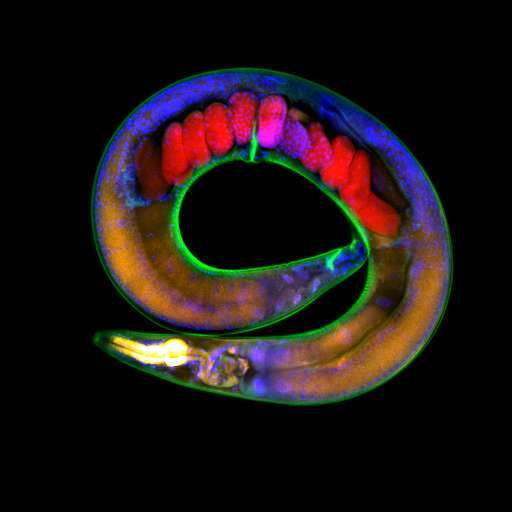 Writing in the journal Science, a team led by Barcelona's Centre for Genomic Regulation and the Josep Carreras Leukaemia Research Institute say that their discovery, which was based on a study of nematode worms, is the most long-term form of the phenomenon ever discovered in a living animal. Although it’s not yet observed in humans, the differences in the genetic makeup of humans and worms aren’t too large. We know that the lives of our grandparents do indeed have influences on our own day-to-day behaviors, but there’s now a chance that an ancestor born centuries ago may still be playing a hand in your life - assuming, of course, what applies to nematode worms applies to humans, and that's a big if. First, let’s step back a bit and take a look at the basic science behind this highly peculiar characteristic of biology. Your genes are inherited from your parents, and theirs from their parents before them. If these mutate, your genetic inheritance changes with it. However, changes to how your genome “expresses” itself – how it behaves, essentially – can also occur due to environmental changes, like ingested chemicals, exercise, and psychological issues. When your ancestor goes through a period of excessive stress, this “experience” can be added to your genome. An extra layer of information is placed on top of your DNA sequences. The DNA sequence itself doesn’t change, but its “clothes” do, so to speak. Generally speaking, this is known as the vaguely defined field of epigenetics, which means “outside genetics”. The authors of a new Science paper describe it more precisely as “transgenerational transmission of environmental information.” It has already been seen in humans – Holocaust survivors’ descendants, for example, have lower levels of the stress-hormone cortisol in their blood, which means they’re more vulnerable to stress and fear.